More and more happy guests are returning here every year to the Deloix Aqua Center Hotel. 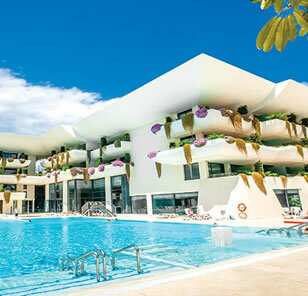 This popular 4 star was built in 2005 and has a quiet location on the outskirts of the Rincon De Loix area on the Levante Beach side of the resort. The hotel has been recommended for its comfortable accommodation excellent service and first class amenities. A variety of shops eateries, bars and extensive nightlife are close by with something to please everyone. Golfers will be pleased that excellent courses are within easy reach. Downtown Benidorm is only 1.5 kms away and Alicante airport is 58 kilometres. The Hotel Deloix provides 194 spacious and well appointed, bright guests rooms set over 4 floors. Rooms available are twins, twins for single use and Suites. All rooms come with a double sofa bed. Modern furnishings are evident in every room with full bathrooms with twin sinks. 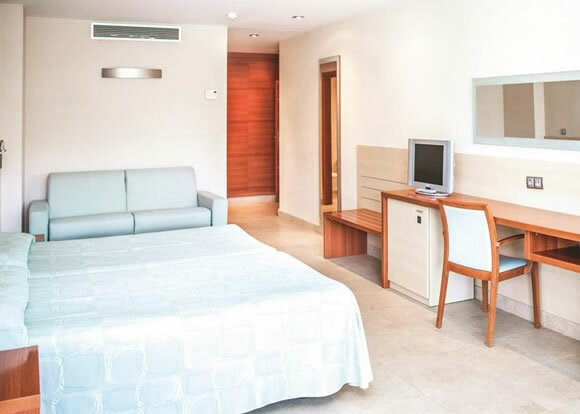 Each room has a flat screen satellite TV, a stocked mini-bar(local charge), air-conditioning and heating, private safe to rent, hair-dryer and telephone. 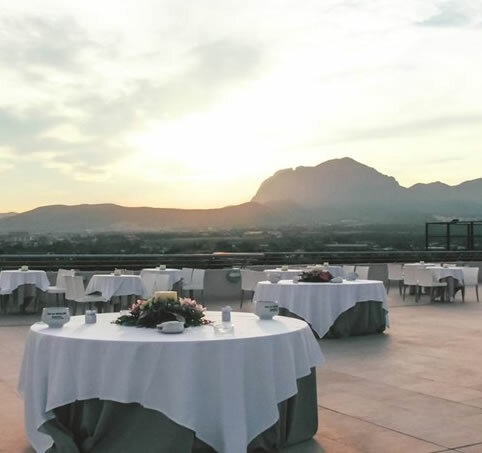 This hotel has a fine restaurant, here you can enjoy a diverse buffet selection of national and international dishes. Special menus can be provided on request (please arrange before departure). Main meals are served from the hotel's restaurant with light meals, snacks and drinks served throughout the day from the lobby bar, terrace bar or poolside cafe/bar. Please note: Half Board is Breakfast & Dinner except for two days of the year - 25/12 and 31/12 where it will be Breakfast & Lunch. 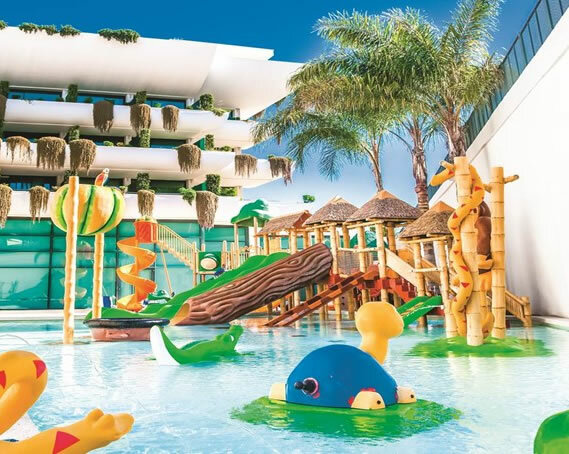 The Deloix Center has a large outdoor swimming pool with water slides, a spacious sun terrace complete with sun loungers and parasols. 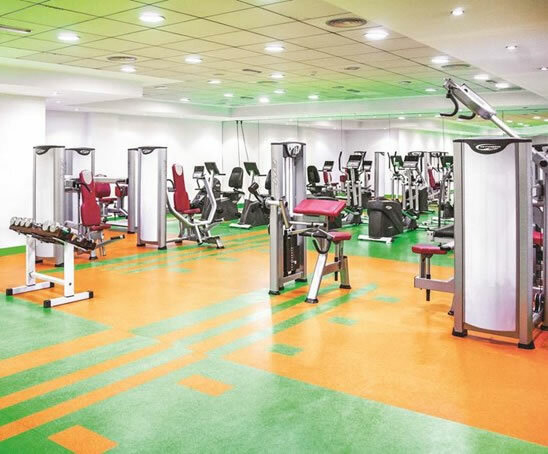 There are two indoor swimming pools, and a Spa centre (local charge) with Turkish bath, Finnish sauna, pressure showers, aromatherapy, ice room and aqua centre, beauty treatment salon, massage treatments, fitness facility, steam room and treatment rooms. Frequent evening entertainment, usually including shows. The hotel has a 24 hour reception, meeting facilities/conference rooms, banquet facilities, internet access,room service( limited hours), parking spaces(local charge), Safety deposit box (front desk at local charge), porter, Security guard, Multilingual staff, laundry facilities, air conditioned public areas, Elevator/lift and Wedding services. It is also possible to exchange currency and rent a car (you can always pre-book your car rental before departure please ask us for a quote)!